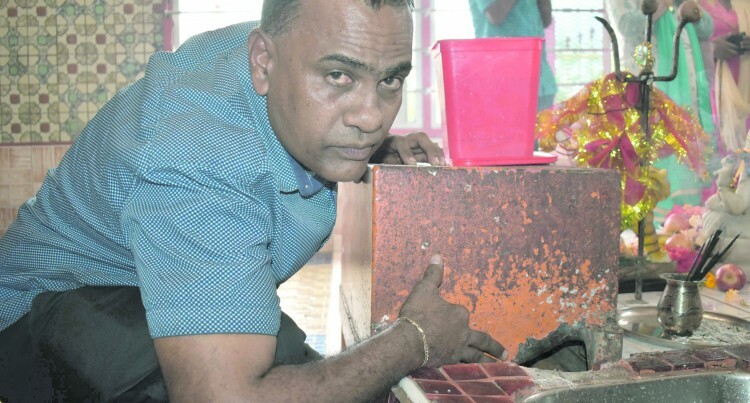 During Diwali some people broke into the Nagigi Naag Temple (snake temple) in Labasa and stole thou­sands of dollars. On the previous month two tem­ples in Savusavu, Latchmi Vishnu Narain Temple and Naagdev Tem­ple were broken into and cash was stolen. Last week at Matei on Taveuni Is­land, three people destroyed the As­semblies of God Church signboard and parts of the interior of the church. Assemblies of God (AOG) Church Northern Division presbyter Akuila Qalomaiwasa said such an activity is a crime. “Why are they doing this? I don’t know but what they are doing should not be done because the church is the house of God,” Mr Qalomaiwasa said. “In Fiji, we have freedom of re­ligion and we should respect our neighbours. He said in the Northern Division there are 80 AOG churches. Shree Sanatan Dharm Pratinidhi Sabha Fiji president Sarju Prasad said it was sad and heartbreaking to hear how a few hooligans’ immoral action can damage the peace that devotees seek when they enter the temple. “All religious places are to be re­spected, and it is high time that the Fiji Police Force treat such sacrilege cases with seriousness and enforce harsher punishment,” Mr Prasad said. “The sacrilege of temples had been increasing and we are very worried. He said there are more than a hun­dred temples in the Northern Divi­sion. Macuata Muslim League Fiji presi­dent Hazeem Hussein said they are also very concerned over the sacri­lege cases in the Northern Division. “We had a few instances of such a nature before and so what we decid­ed since then is that we will not keep the cash or donation box inside the mosque,” Mr Hussein said. “This draws attention and invites people to break-in. He said there are over 20 mosques in Vanua Levu including Savusavu, Taveuni and Bua and they have sev­en faith-based schools in Labasa. Meanwhile, the Acting Commis­sioner of Police Rusiate Tudravu said: “Any attacks on places of wor­ship will not be taken lightly and we will ensure all efforts are directed towards the investigations to find those responsible. “We are outraged by these attacks because people need to respect eve­ryone’s right to worship,” Acting Commissioner Tudravu said.